I have filed a complaint of sexual harassment at work place against my manager and a complaint against my HRD head for trying to put pressure on me to keep quite about the matter. Later ICC was constituted and I was called to present my case. ICC was biased from the beiging only and gave decision against me stating that my complaint was false and malicious and that I am unwilling to work, incapable and lodged complaint just to avoid work pressure. I am an outstanding officer through out my service of 4 years with excellent track record, I am one among 2% of the officers recently promoted and worked very hard for this organisation. Due to influence of officials on very high post aginst whom I lodged complaint the IC ruled against me. What can I do now? What are my options? A. By ICC I think you mean the internal Committee that carried out enquiry on your complaint against HRD. Your organisation must follow certain rules of Natural Justice and should have a appeal mechanism. If it does not have still you have a right to either of these: 1. comment on the enquiry report, 2. to appeal against the decision, 3. for a reply to a show cause notice why the case should not be dismissed. Also, if yours is a goverment isntitutiuon, you can approac Court/s. A. You need to prefer an appeal within a period of 90 days from the day of the communication of the written order as laid down under section 18 of the Act. In the meantime you should find out:- (i) the composition of the ICC? Is it according to the rules laid down under the Act. If not challenge the very composition of the ICC. (ii) Whether the provision of section 12 of the Act complied? A. dear client you need to file police complaint into nearest police station. kindly go through local lawyer. A. 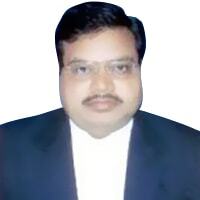 Better u approach any local vidhikarya lawyer for more details. A. File FIR in police station. A. This is serious matter. Kindly contact VIDHIKARYA immediately for further discussion. A. By advocate Rameshwor dadhe dear mam I told you please go to the state women commission. And file complaint against them. A. We can only advice you, taking decision is in your hand. In your case you may take legal action under criminal law because here is commission of Criminal Offences. If there would be option left accords with your organisation, from where you may get relief, you should avail it. 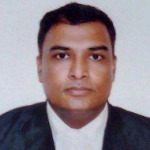 If you would not like to avail above advice and only you would like to stop everything would be going with you, you may serve legal notice to all the concerned person indulged in crime but my advice to you would be that you should draft it by a competent lawyer or avail my legal service to make the legal notice more effective and it should on the Advocate's Letter Head. Click LIKE button to get more effective advice on the subject.